Ground was broken April 5 for the expansion and renovation of GSDM. The façade will be redone and two state-of-the-art additions will be constructed. The facility will embody the vision of the group practice model of dental medicine. SIU SDM recently hosted their annual Research Day. Keynote speaker Dr. Parish P. Sedghizadeh shared his passion for dentistry and excitement for research with faculty, staff and students. SIU SDM students and faculty presented their research projects during a poster exhibit. Shelia S. Price, D.D.S., Ed.D., Associate Dean for Admissions, Recruitment and Access and Diagnostic Sciences Professor at the West Virginia University School of Dentistry (WVU SOD) has been awarded WVU’s 2018 Neil S. Bucklew Social Justice Award. Named after WVU’s 21st President, Neil S. Bucklew, the Bucklew Award is presented annually to a WVU faculty or staff member who demonstrates outstanding leadership, courage and support in the areas of social justice, diversity, equity and inclusion. Dr. Price leads predoctoral and graduate program admissions and student retention initiatives, including the Dental Early Admission Programs in partnership with several other universities. Since 1997, she has maintained a key role in implementing and expanding the WVU Kuwaiti Dental Program. Over a five-year period, Dr. Price directed more than $1 million in projects through the Robert Wood Johnson Foundation and the W.K. Kellogg Foundation to diversify the dental workforce and improve access to dental care. As principal investigator of an Access to Dental Careers grant, she leveraged funds to support retention of underrepresented minority students and individuals from economically disadvantaged backgrounds. 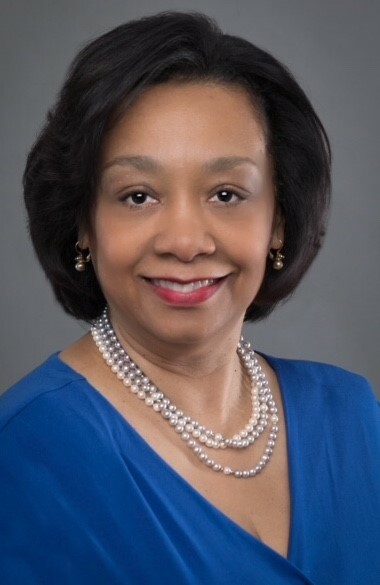 Dr. Price was also the first female African-American graduate from the WVU SOD and the school’s first faculty member to complete the nationally competitive women’s Executive Leadership in Academic Medicine program. Among her colleagues, she is a conversation starter. Almost two decades ago, Dr. Price led a lunch hour social justice series for dental school faculty and she remains committed to promoting humanism and health equity. She used the results of dental student surveys to stimulate dialogue on inclusivity, team promotion and diversity. Department chairs, administrators, students, faculty and staff took part in a culminating training session titled Promoting a Culture of Humanism. Dr. Price has held numerous elected leadership positions promoting social justice, diversity, equity and inclusion in her field and at WVU, including Chair of the ADEA Minority Affairs Advisory Committee (now called the ADEA Diversity and Inclusion Advisory Committee) and Chair of the Health Sciences Center Committee on Diversity and Inclusion. “Dr. Price has been a trailblazer her entire career. Throughout her years of service, she has shattered every barrier placed in her path and has a recognized commitment to ensure that others are able to do the same. She embodies everything the Bucklew Social Justice Award symbolizes and we are honored to present her with the award this year,” says Meshea Poore, J.D., Vice President of the Division of Diversity, Equity and Inclusion (DDEI). Ms. Poore, a long-time activist and champion of underrepresented populations, was named Vice President of the DDEI in February 2018. Her goal in her new role is to center the office around equal justice and community advancement and foster an environment that embraces the wholeness of every individual who calls West Virginia home. She notes that the Bucklew Award provides her office with the perfect opportunity to recognize members of the WVU campus community who are clearly helping move the university in the right direction. As the recipient of the 2018 Bucklew Award, Dr. Price will receive a $2,500 stipend that may be used for professional development or directed to one of several worthy WVU Foundation accounts.